Political infographics are very common. If you are a political presenter, make sure you use them in your presentations as they are a sure-fire way of keeping your audience humored and engaged in your presentation. They are also a great way to simplify complex political data. These are some of the political infographics that we liked. 1. This is hardly a political topic, but nevertheless, brilliantly presented! 2. 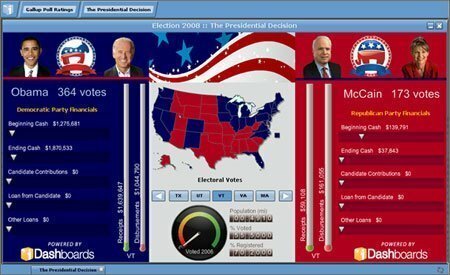 An interactive info graphic created during the 2008 US presidential elections. 3. 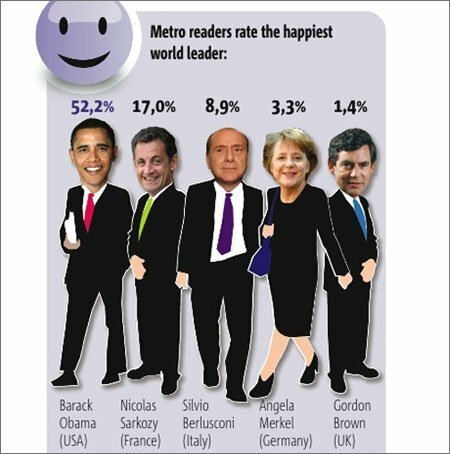 An interesting political info graphic that was created by NY Times before the 2008 elections. 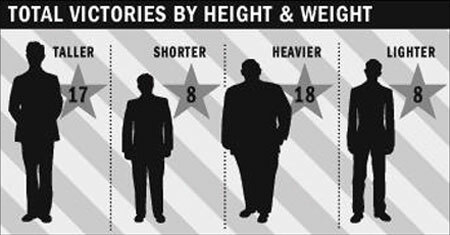 It dwells on the possibility that a candidate’s height and weight may have a role to play in the election outcome. Check out our custom illustrated people diagrams. 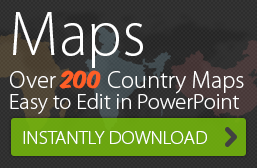 Each image is editable. 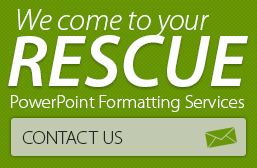 Now send us your creative ideas and we will custom create it in PowerPoint.